Fifteen-year-old Jeff wakes up on New Year's Day to find himself in the hospital. Make that the psychiatric ward. With the nutjobs. Clearly, this is all a huge mistake. Forget about the bandages on his wrists and the notes on his chart. Forget about his problems with his best friend, Allie, and her boyfriend, Burke. Jeff's perfectly fine, perfectly normal, not like the other kids in the hospital with him. Now they've got problems. But a funny thing happens as his forty-five-day sentence drags on--the crazies start to seem less crazy. 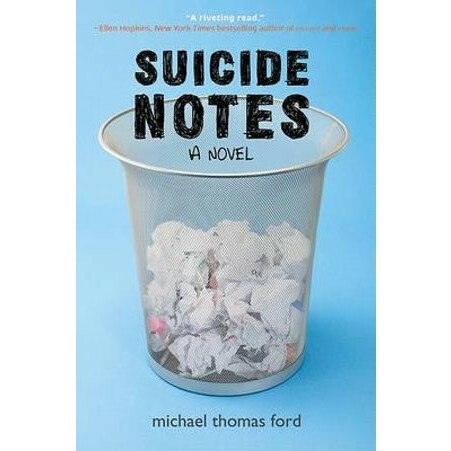 Compelling, witty, and refreshingly real, "Suicide Notes" is a darkly humorous novel from award-winning author Michael Thomas Ford that examines that fuzzy line between "normal" and the rest of us.